After five weeks on the job, Centers for Disease Control Director Dr. Robert Redfield agreed to a pay cut, the Health and Human Services Department confirmed. The former University of Maryland AIDS research standout appointed by President Trump was paid $375,000 under a special hiring authority, far more than the pay of his predecessors. 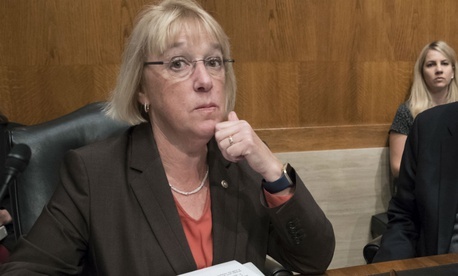 After a report from the Associated Press, Senate Health, Education, Labor and Pensions Committee ranking member Sen. Patty Murray, D-Wash., last Thursday wrote to Health and Human Services Secretary Alex Azar questioning why Redfield was being paid a high government salary under U.S. Code Title 42, a section designed to attract top scientists and other specialists to government work. “It is difficult to understand why someone with limited public health experience, particularly in a leadership role, is being disproportionately compensated for his work as compared to other accomplished scientists and public health leaders in comparable roles within the federal government,” Murray wrote. She asked Azar a series of questions and requested a staff briefing on how the decision was made to use Title 42 given that the directorship of the CDC does not involve active scientific research. In her letter, copied to committee Chairman Sen. Lamar Alexander, R-Tenn., she stressed that recruiting requirements under Title 42 may not have been followed. The exact amount of the pay reduction was not made available. Murray had pointed out in her letter that Redfield’s $375,000 salary was far higher than that of predecessors such as Brenda Fitzgerald ($197,300, according to news reports, before she resigned in January) and Tom Frieden ($219,000). It is also higher than the special salaries of National Institutes of Health Director Dr. Francis Collins and Food and Drug Administration Commissioner Dr. Scott Gottlieb, the senator added. She also pointed to a 2012 Government Accountability Office report faulting HHS’s documentation of recruiting efforts that led to offering the higher Title 42 salaries intended for research practitioners.